Blafrostfestivalen in Norway and has since performed with Craig Ogden in the Newbury Spring Festival and Ryedale, Budleigh Salterton and Salisbury International Festivals. Music with a Fellowship and is the youngest instrumentalist to have received this award. He regularly appears as soloist and chamber musician at the major London venues and collaborates regularly with many of the UK's top artistes and ensembles. He is Principal Lecturer in Guitar at the RNCM in Manchester. 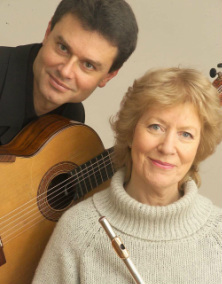 He and Judith Hall formed their Duo in 2002.